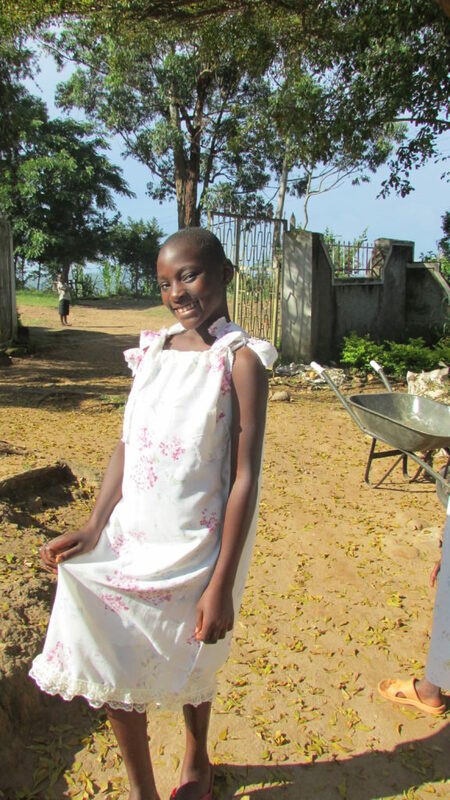 Meet Nora who found "Hope" in a Chicken Farm - Remembering Jesse Parker, Inc.
Nora is 14 years old and each of us who met her on our recent trip to Uganda was captivated by her beauty, tenderness and perseverance in the midst of heartache. 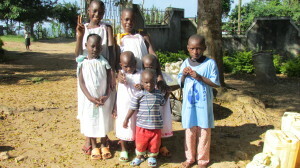 A little more than a year ago, Nora was raising her 5 younger brothers and sisters; ages 4 months to 11 years. They were starving, had little clean water and no hope. 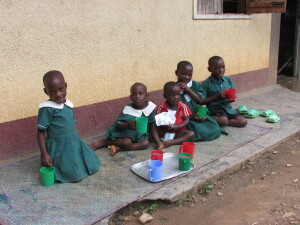 Their mother had died of HIV/AIDS and their father, in his despair, began drinking and stopped caring for the children. Our friend in Uganda, Sister Salome, was alerted to the desperate plight of the youngest boy, Joseph, who at only 4 months was near death. Once she visited the home she knew she had to do something to help all the children. Yet, as in everywhere in Africa, funds are limited. 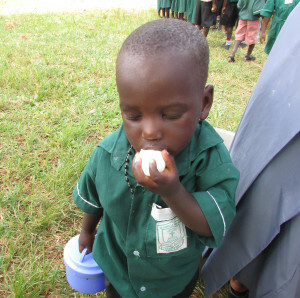 With the support of donors to the Remembering Jesse Charity, the Tomah Rotary Club, Rubaga Rotary Club, and Rotary District 6250, they would find hope in a chicken farm. Sister Salome could say “yes”, because the kind people in Wisconsin had said “yes”. You created a ripple of hope. Through a Rotary Grant Sister Salome had recently completed a 5,000 chic k egg-producing farm with proceeds to benefit a local school. Because of the newly created farm, Sister Salome was able to offer refuge to the children. The gentle and kind nuns took in the young family and began the slow process of bringing them back to health. One year later, the small family is thriving. At age 14, Nora is attending school for the first time in her life. Her younger sisters, three year old twins, could not walk, talk or play when they arrived. They now laugh and giggle with homemade dolls. The youngest, Joseph, was sent to an orphanage because he was so badly malnourished he required more intensive care. He has now returned to his family, a happy curious boy. He so loves being with all his older siblings that he follows them to school. Fearing he would get lost, the nuns made Joseph a miniature school uniform and a small lunch pail. He now proudly walks to school and plays patiently outside their classrooms waiting for recess so he can play with his siblings. What touched each of us so deeply in meeting Nora and her small family is their tenderness and joy. The nuns have wisely allowed them to remain a family. Their home is a small room with several beds and a small crib. This home provides the stability they so desperately need. They bathe, dress and feed each other. Each taking roles much greater than we might see from kids in our hometowns. It is beautiful to see them in the morning, on their small mat, each with their bowl of porridge, enjoying a family meal that a year ago might have seemed impossible. It is rare to see one child without the others. When you walk towards their meager home they eagerly greet you. Little Joseph loves to be held so he stands with his arms up waiting for the warm embrace. Thanks to everyone who continues to support these efforts. The story of Nora and her family is duplicated many times because you choose to care for children, children you may never meet, simply because they need your help. You are making a difference.